WASHINGTON — The agency in charge of managing America’s nuclear warheads is in discussions with the Office of Management and Budget about getting funding to start work on two new nuclear capabilities sought by the Trump administration. The National Nuclear Security Administration, a semiautonomous agency within the Department of Energy, is a key player as the government seeks to create both a low-yield warhead for its submarine-launched ballistic missile and a new sea-launched, nuclear-capable cruise missile. But while the Pentagon has identified those two systems as vital to national interests, and has set aside $22.6 million in fiscal 2019 for a low-yield ballistic warhead, the NNSA’s budget request for FY19 doesn’t contain any funds to support that work. “We are leaning as far forward as we possibly can, working with OMB and [the Department of Defense]” on the question of FY19 funds, said Lisa Gordon-Haggerty, the NNSA head, during congressional testimony Tuesday. Philip Calbos, acting deputy administrator for defense programs at NNSA, later added that it would be “beneficial” for the agency to be able to begin work on the two new systems in ’19, rather than having to wait until money is put into the FY2020 request. The officials did not clarify how they would go about getting that money added to the budget request, but it could come as either a supplemental request from the administration or through Congress during the authorization and appropriations process. Members of the House Energy and Water Development, and Related Agencies Subcommittee seemed open to that option during Tuesday’s hearing, with several members saying they looked forward to talking with the agency officials in a smaller setting. The Nuclear Posture Review laid out the need to invest in both a short-term development of a low-yield nuclear warhead that could be put on the Navy’s Trident ballistic missiles, as well as a new nuclear-capable cruise missile that can be launched by naval vessels. But while the DoD is ready to invest in the near-term capability, the NNSA appears to have been unable to incorporate the final decisions of the NPR, as it was building its budget at the same time. Calbos described the NNSA’s portion of work on the submarine-launched ballistic missile as “a moderate level of effort, again relatively speaking, at a moderate cost. And we believe we can fit it in, in the near term.” That is in line with the belief, expressed by defense officials, that the agency should be able to simply modify a handful of the W76-1 warheads already undergoing a service life extension. In an exclusive exit interview, Frank Klotz, who retired on Jan. 19 as the head of the National Nuclear Security Administration, warns that his agency is stretched to the limit. 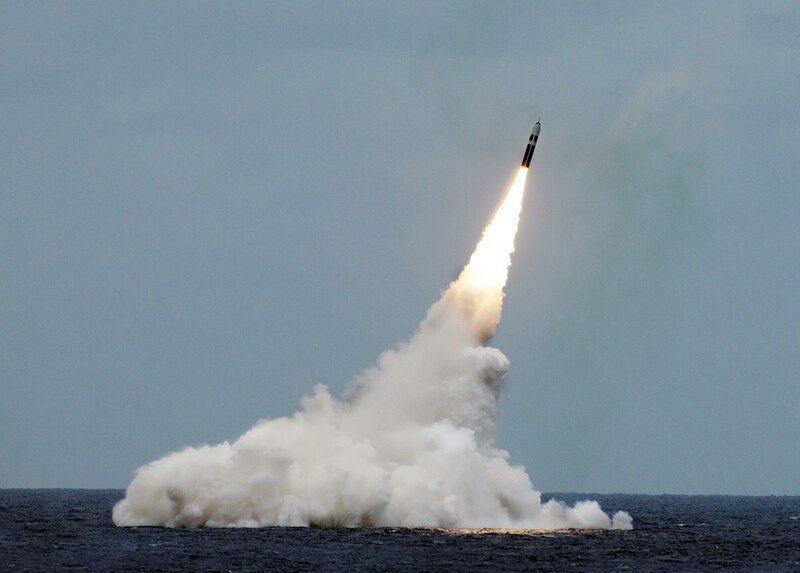 And because the sea launched cruise missile capability is not as near term, that should not impact the series of currently ongoing warhead life-extension and modification programs — assuming those all stay on track. Both officials said they believe the warhead modernization efforts currently underway will not be impacted by the additional projects, but acknowledged that the real driver of keeping things on track comes down to stable funds.